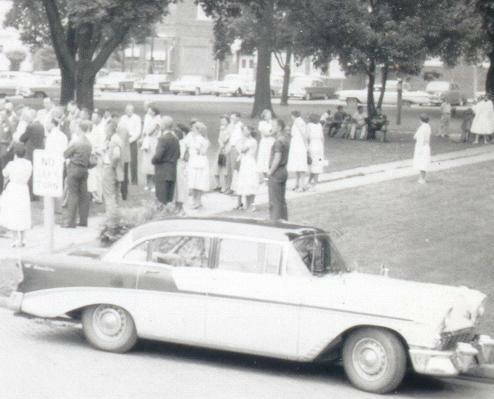 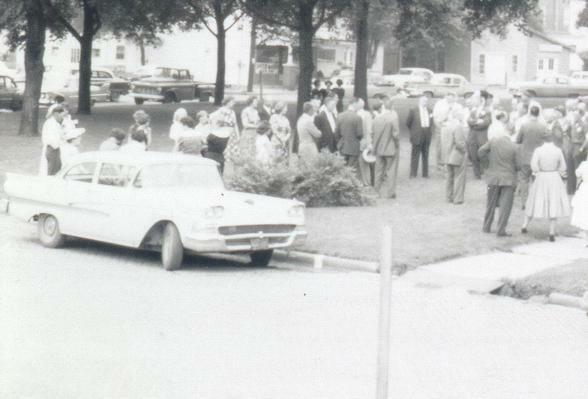 This image shows a group of people in the Park.Perhaps its a church event of some sort.Those are two swell cars.You can see the old blacksmith shop(aka home of the Leroy Racing Assoc. 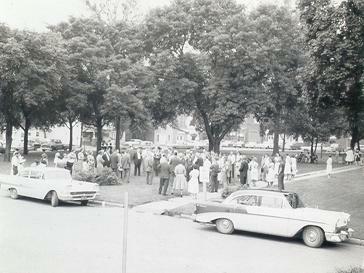 )in the background.This image is from the late 1950s. . ..